The NBA announced the game schedule for the Vegas Summer League, where the Houston Rockets will be participating. For the second consecutive season, the games will be played tournament style, with three preliminary round games and each team is guaranteed to play at least five games. While the sting of the Rockets playoff exit certainly has not worn off yet, the NBA released a new trailer for their latest documentary Clutch City all about the Houston Rockets two championship runs in the mid-90’s. 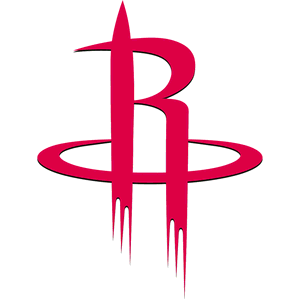 The documentary features interviews with Rudy Tomjanovich and many of the Rockets players, including Hakeem Olajuwon, Clyde Drexler, Robert Horry, Kenny Smith, Sam Cassell, Vernon Maxwell and Mario Elie, as they reflect on the team’s championships in 1994 and 1995. It will premiere on Monday, June 8 at 8 p.m. CT on NBA TV, the evening after game two of the NBA Finals. There will also be a 30-minute show preceding the documentary with Robert Horry and other guests adding more thoughts on the Rockets championships. 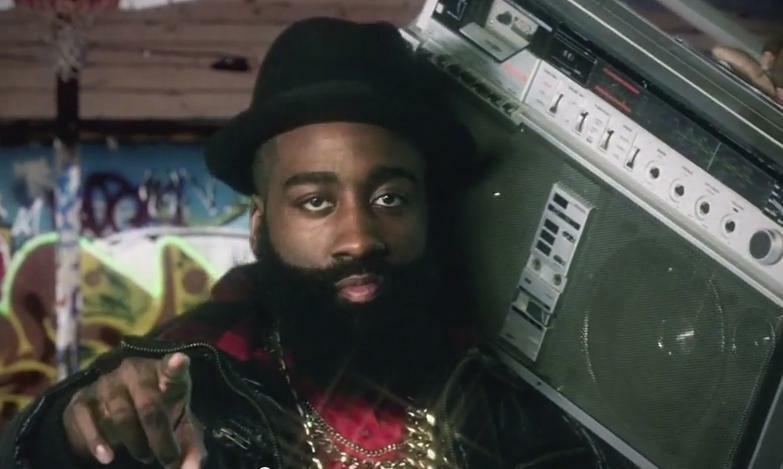 Here’s the link to the Clutch City trailer: Click here. As the Rockets prepare for game two of the western conference finals, the only thing that is certain is the Dwight Howard that took the floor to start the series will not be available for Thursday night’s game. That’s not to definitively rule him out of the contest after he suffered a left knee sprain in the first quarter of game one, but it was clear watching him try to labor through the pain in several short stints that followed, he will not be the same player, if he plays, this soon after the injury. On Wednesday’s day between games, Howard said the knee felt no better. At Thursday’s gameday shootaround, Howard was wearing a brace on his left knee and coach Kevin McHale said he was trying to get comfortable with it, calling him a game-time decision. McHale on Dwight Howard: "He moved through about half shootaround. He had a brace on. We'll see tonight." Howard, who would certainly be limited if he should try to play through the injury, missed 41 games, mainly due to a right knee injury during the regular season. While it’s accurate to say they’ve successfully dealt with him being out or limited during the season previously, their means to cope with the absence are quite different. When Howard missed his 41 regular season games, the Rockets turned to the same player 38 times to fill his void. Donatas Motiejunas, who finished eighth in most improved player voting this season, averaged just over 30 minutes a game in those games he played without Howard. He averaged 13.5 points and 6.3 rebounds, while shooting 51.1 percent from the floor, while he took on the role of top low-post option and presence. But with the back injury and subsequent surgery he had late in the season, he is not available to fill-in this time. Enter Clint Capela. The 21-year old rookie, played in just 12 regular season games for the Rockets, while spending the bulk of the season with the Rockets d-league franchise in the Rio Grande Valley. But he’s played in all 13 of the Rockets postseason games as Howard’s primary backup at center. 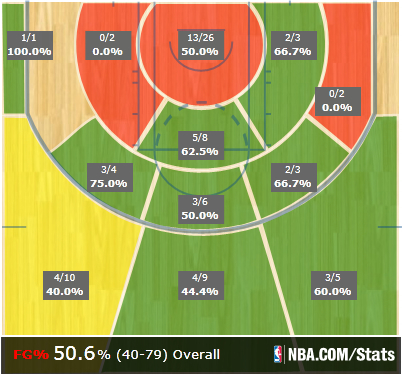 He’s shooting 67 percent from the floor in the playoffs and has made his last ten shots. 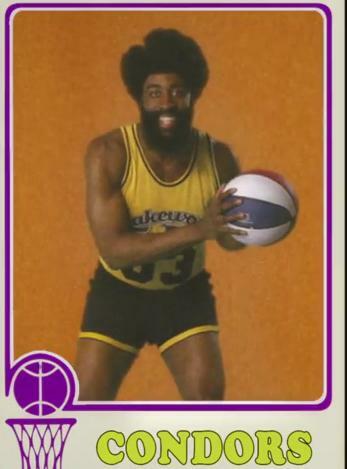 His per 36 minute averages are excellent at 18 points, 12.8 rebounds and 2.8 blocks per 36 minutes. Among players with at least 100 minutes played this postseason, his rebounding ranks third, behind only teammate Howard (15.0) and the Clippers DeAndre Jordan (14.0). 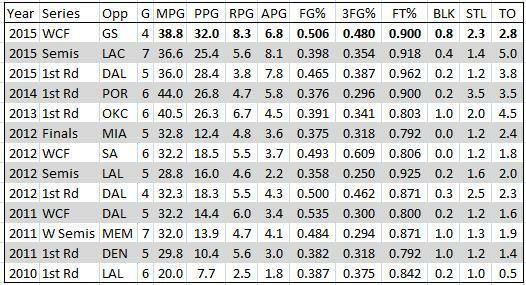 Similarly his blocked shot numbers would place him second behind only the Cavaliers Timofey Mozgov (2.9). Capela played one minute and 12 seconds in the regular season against the Warriors, missing his only shot in a Rockets 12-point loss back in November. In Tuesday’s game one, Capela was very effective, making all four his shots, grabbing four rebounds and scoring nine points in just under 13 minutes. “They’re a different ballclub, for sure,” Warriors forward Draymond Green said. “Capela has been playing really well, and I’m sure he’ll probably fill in at the 5 for him. You see the growth of him over the course of the season. Terrence Jones had his own injuries during the season and also was not available for many of the games Howard missed during the regular season. Jones first 21 games back after his nerve injurywere all played without Howard and Jones averaged 12.1 points, 7.2 rebounds and 1.6 blocks per game during that strethc. 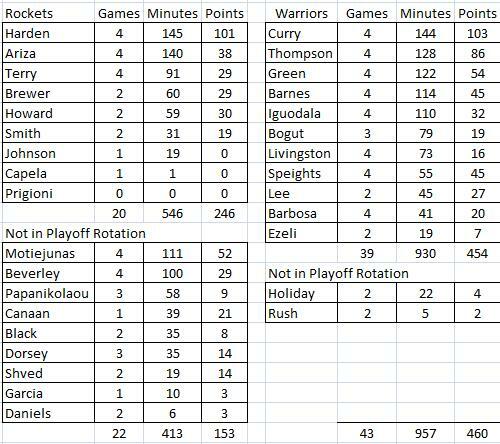 He has not been nearly as consistent or productive in the playoffs, as he’s come off the bench in the last four games. He missed eight of his ten shots in game one.